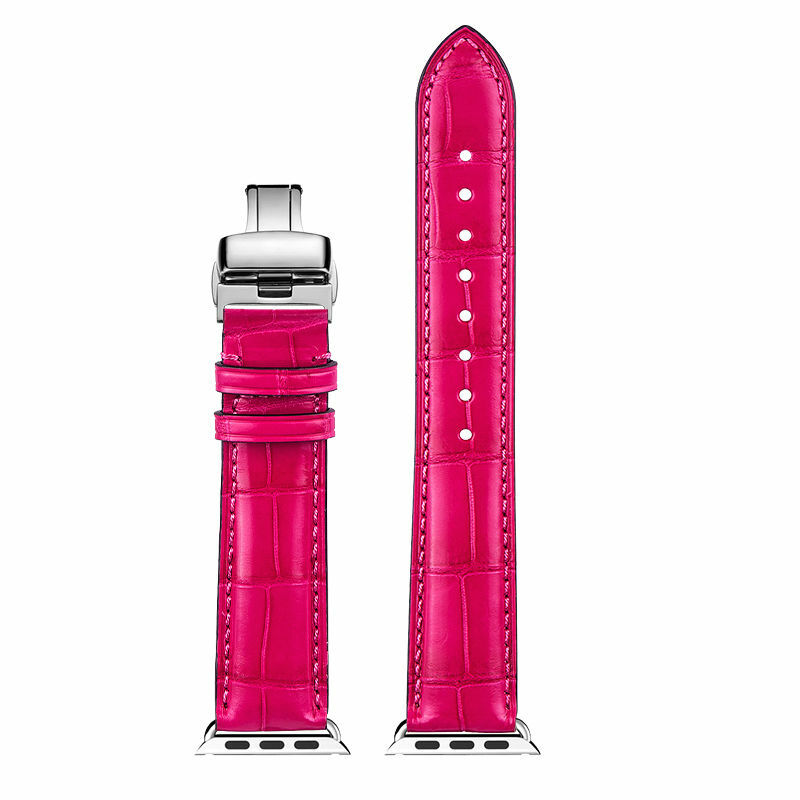 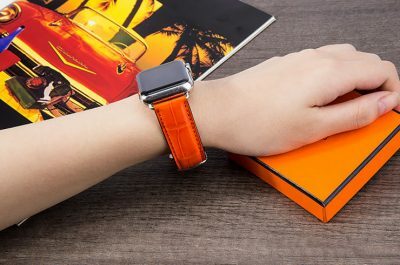 Band Compatibility: You can match this band with any Apple Watch Series 4 case of the same size. 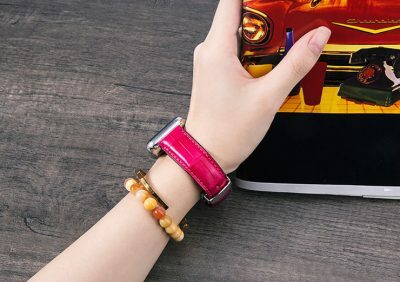 It also works with all previous versions of Apple Watch, including Apple Watch Series 3, Series 2. 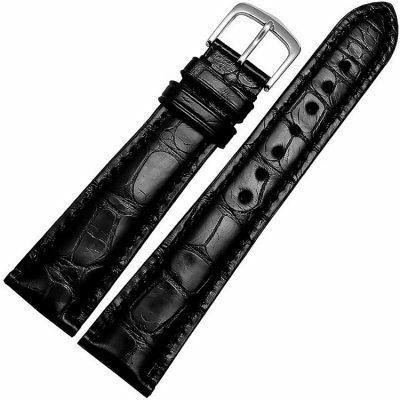 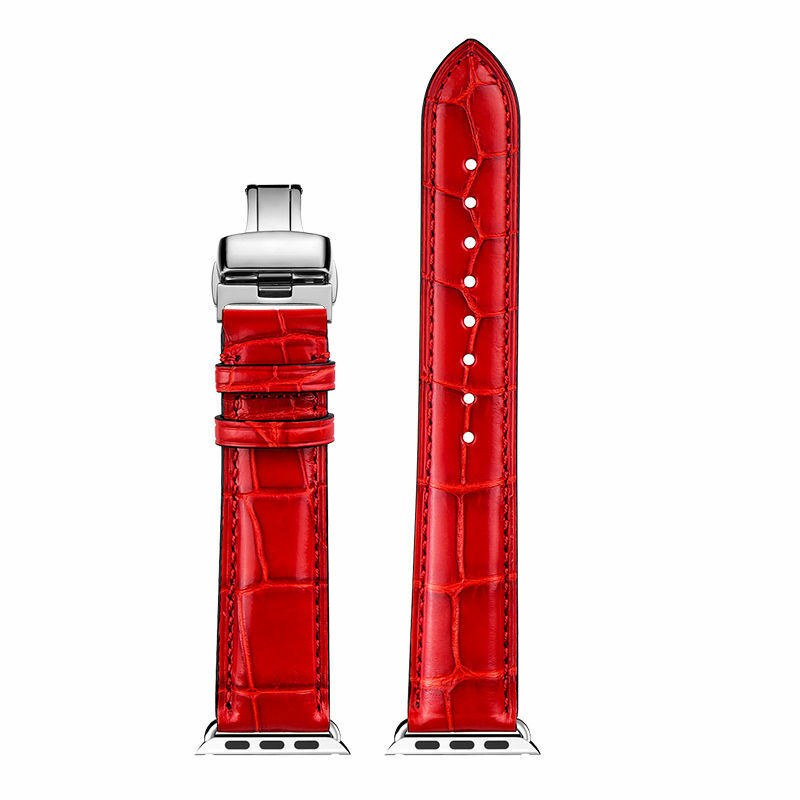 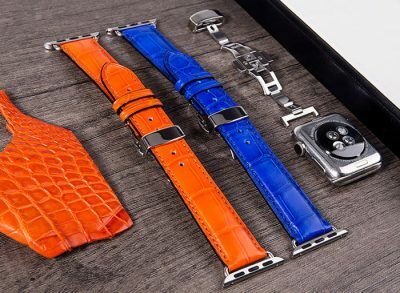 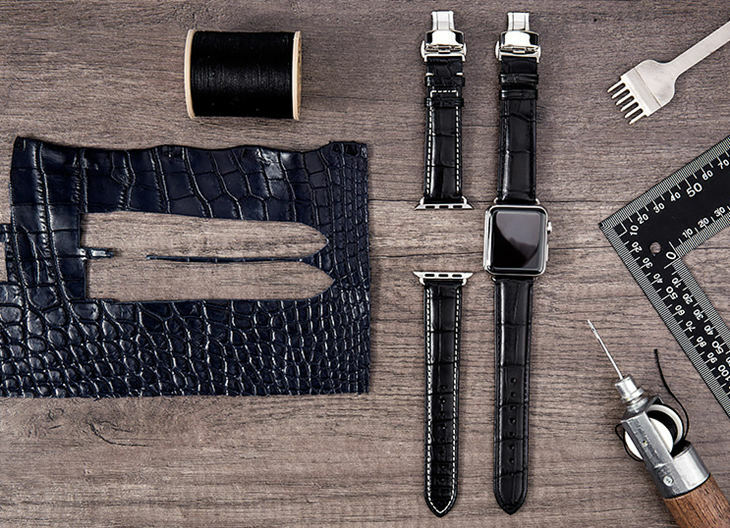 The 40mm band works with the 38mm case; the 44mm band works with the 42mm case.
. Material of Band: 100% genuine alligator & crocodile skin band – Premium genuine alligator & crocodile skin with fashionable craftsmanship.
. 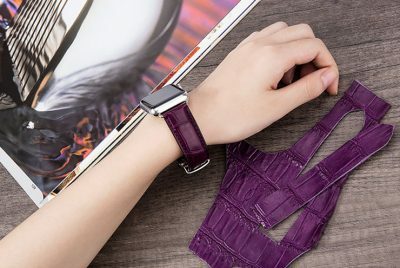 Band Compatibility: You can match this band with any Apple Watch Series 4 case of the same size. 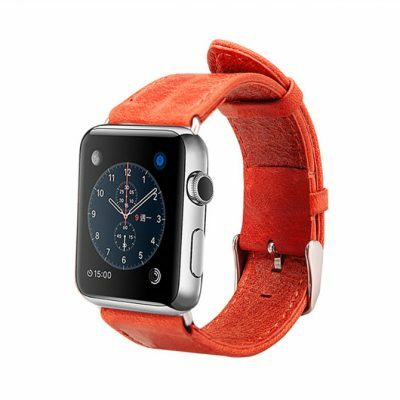 It also works with all previous versions of Apple Watch, including Apple Watch Series 3, Series 2. 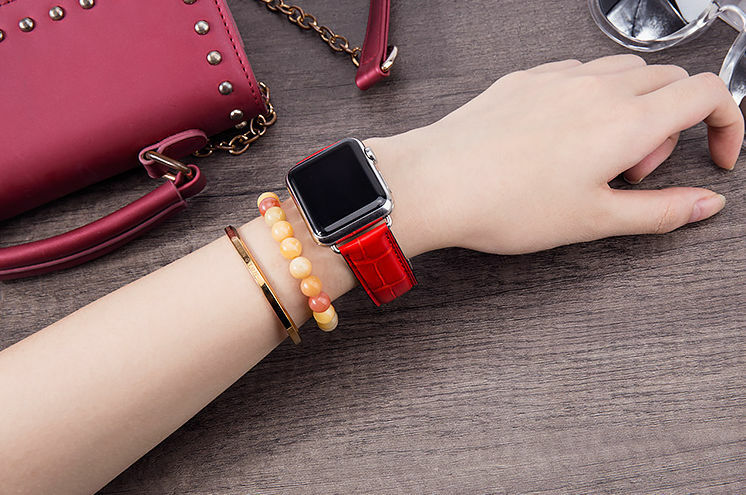 The 40mm band works with the 38mm case; the 44mm band works with the 42mm case.
. Adapter Sizes: Perfectly fit for Apple Watch Series 4, Series 3, Series 2. 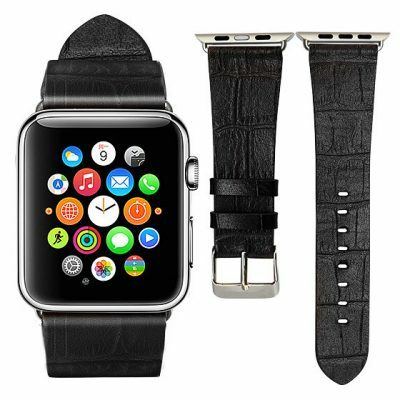 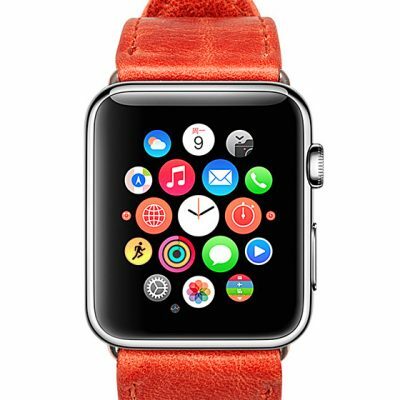 All Models (Apple Watch & Sport & Edition Version).
. Buckle: 316L high-quality medical stainless steel, allergy proof. 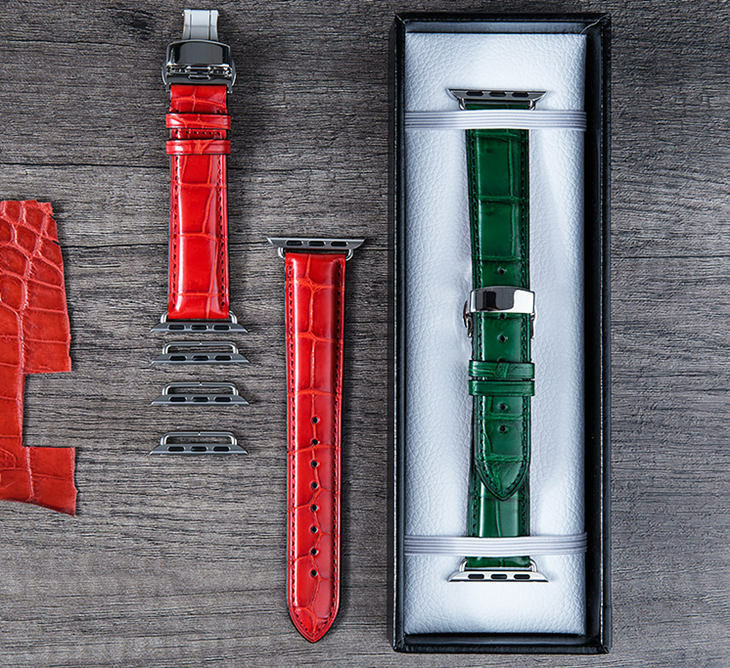 After 4 precise polishing processes, the surface texture feels exquisite, with charming luster. It might be a little bit stiff when first taken out of the package. Bend it forth and back for some time or wear it for a few days, it will become quite soft and comfortable to wear. 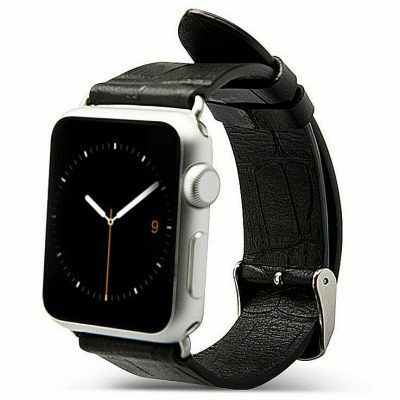 The leather is very nice, classy and stylish. 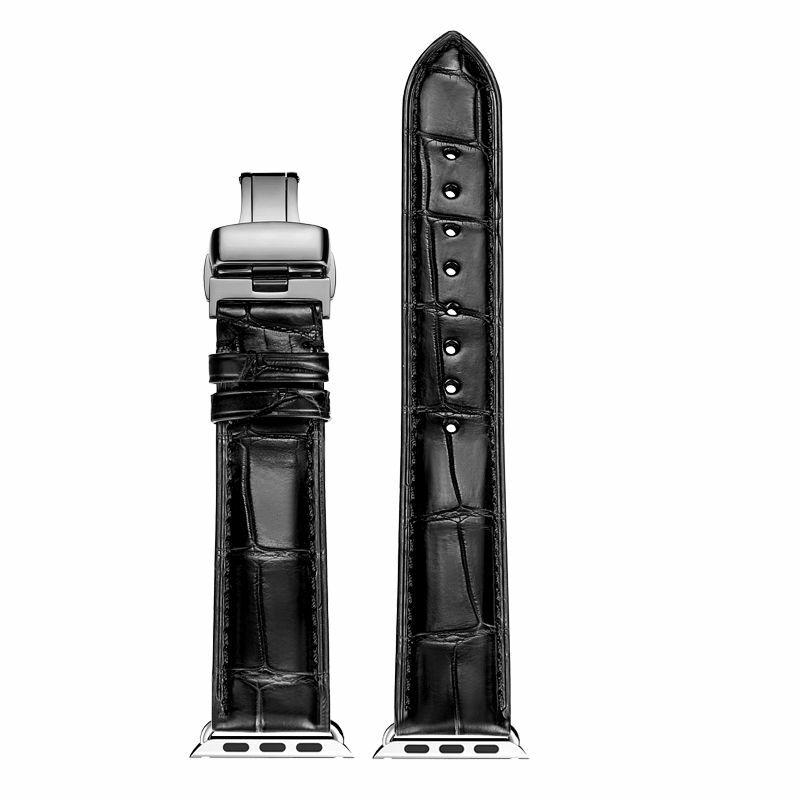 It looks great, the stitching and markings are all very nicely done.